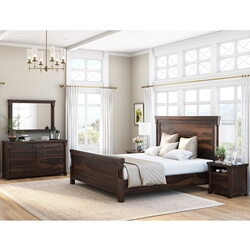 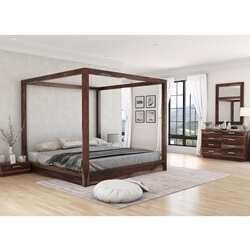 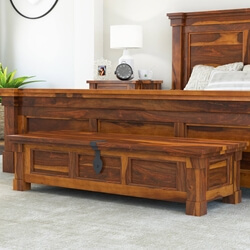 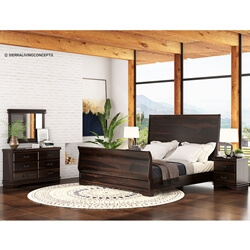 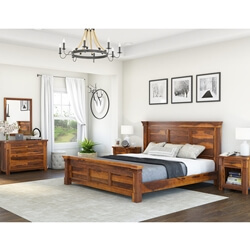 The spirit of the endless expanse of the American West inspires the rustic sensibilities and steadfast construction of the Modern Farmhouse Solid Wood Bedroom Set. 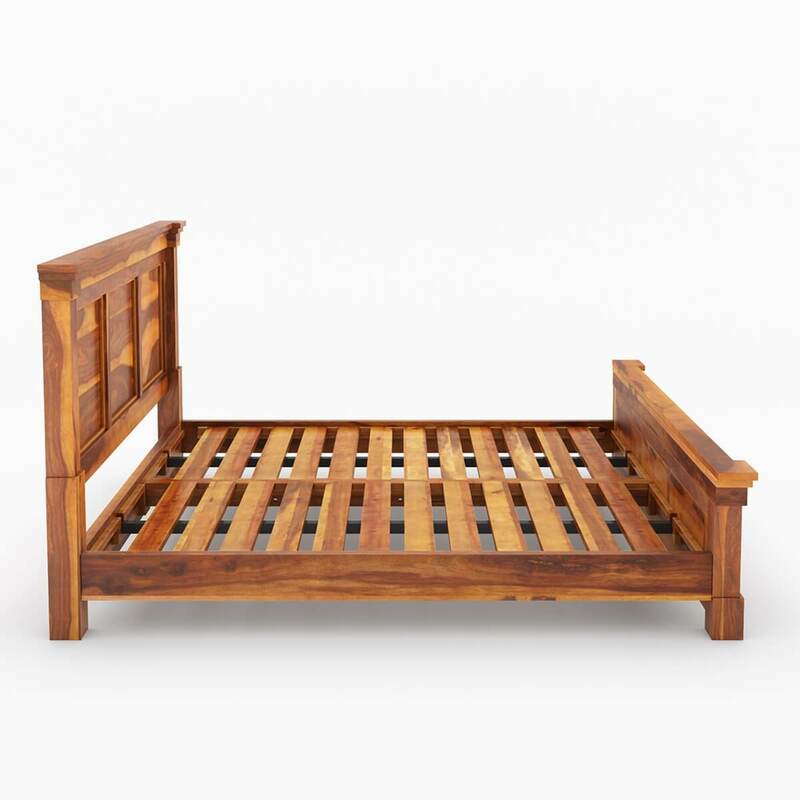 This 100% handmade piece is constructed of Solid Wood which creates a sturdy and chic form while staying true to purpose and function. 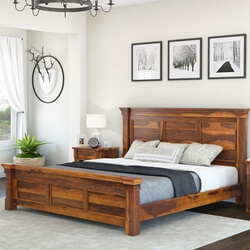 The warm wood finish shows tones of caramel and maple which creates a lovely complement to the deep wood grain and the natural wooden character of the materials. 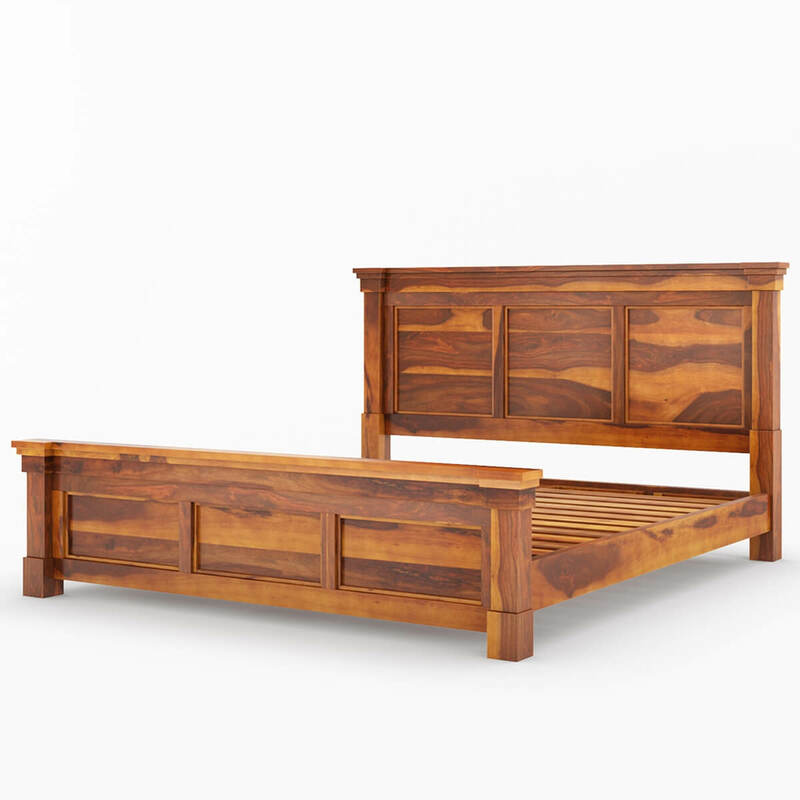 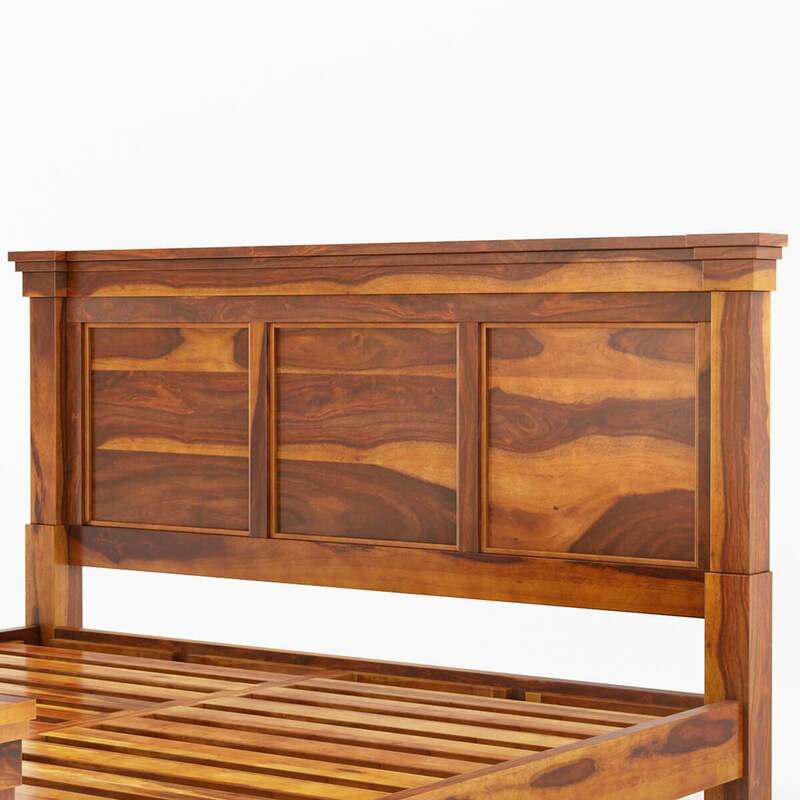 For the headboard and footboard, three recessed panels adorn the front sides of these handsome pieces. 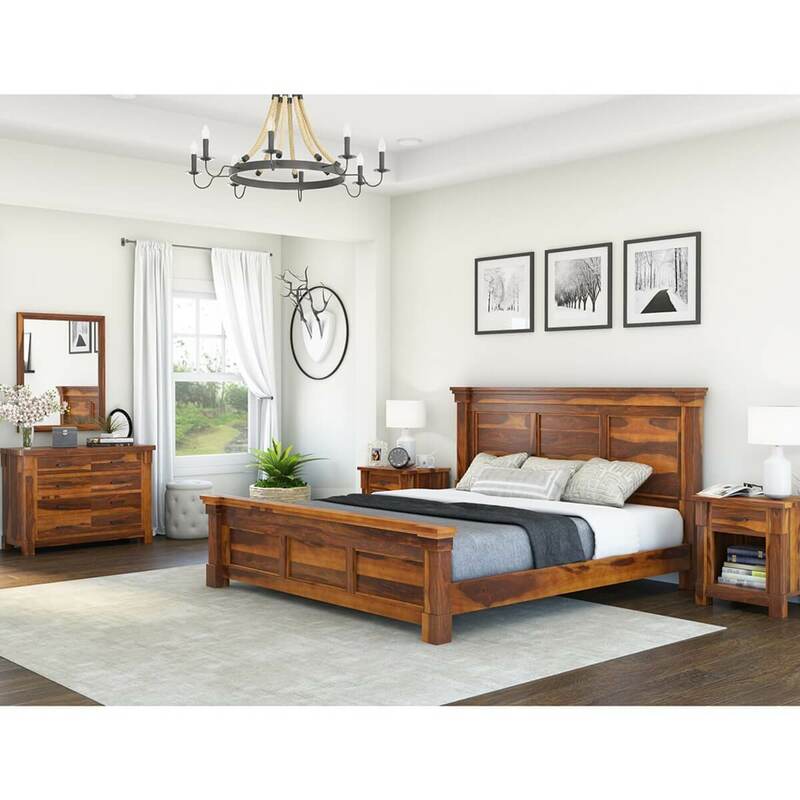 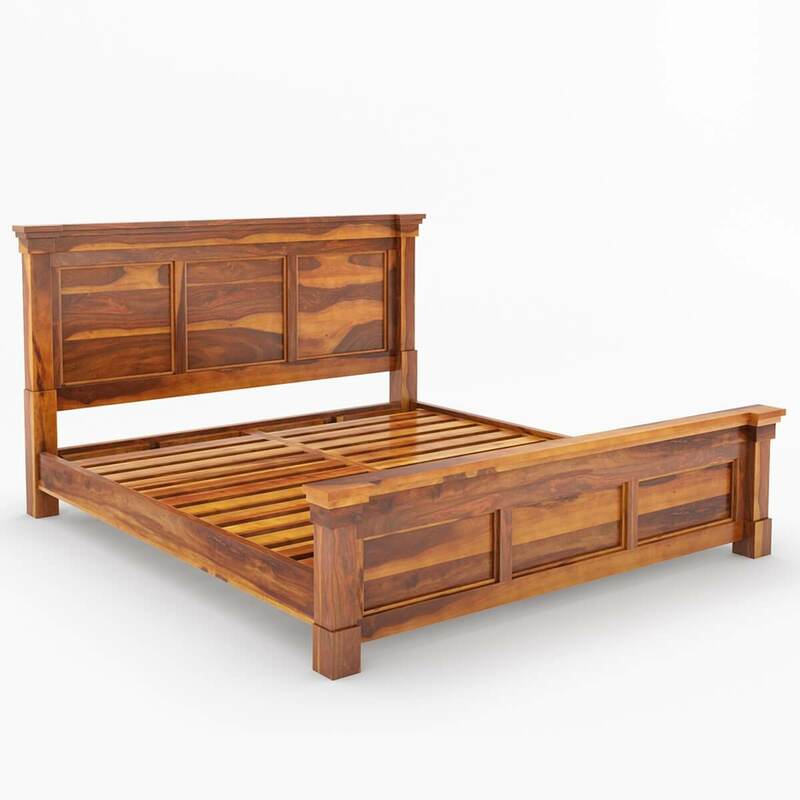 Bring your bed set together with a matching look that will frame your bed in warm, rustic charm. 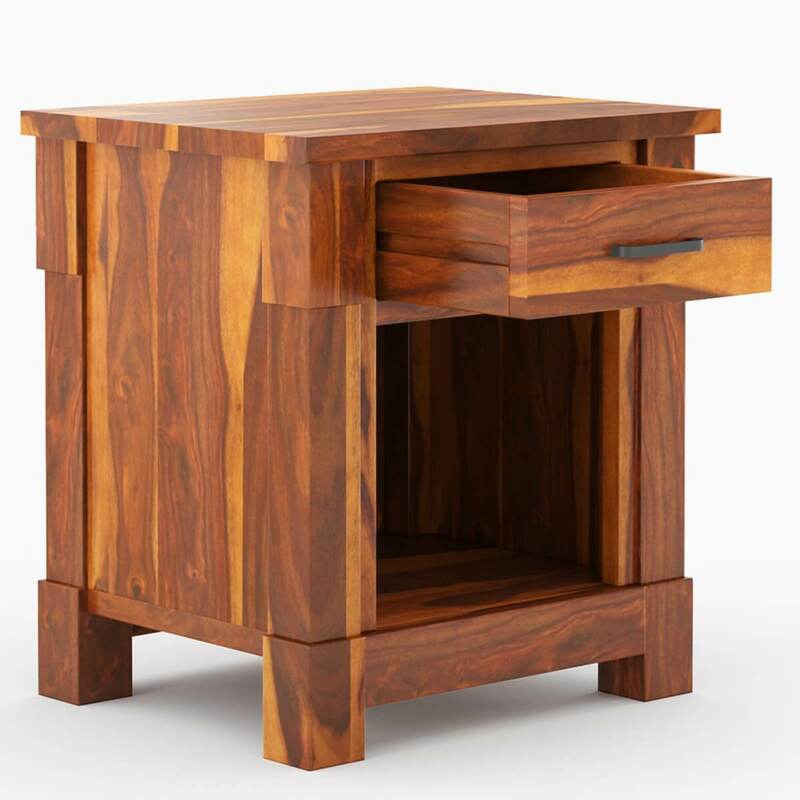 For the set of 2 nightstands, the single-drawer design of this handsome piece provides ample storage for all your bedside needs. 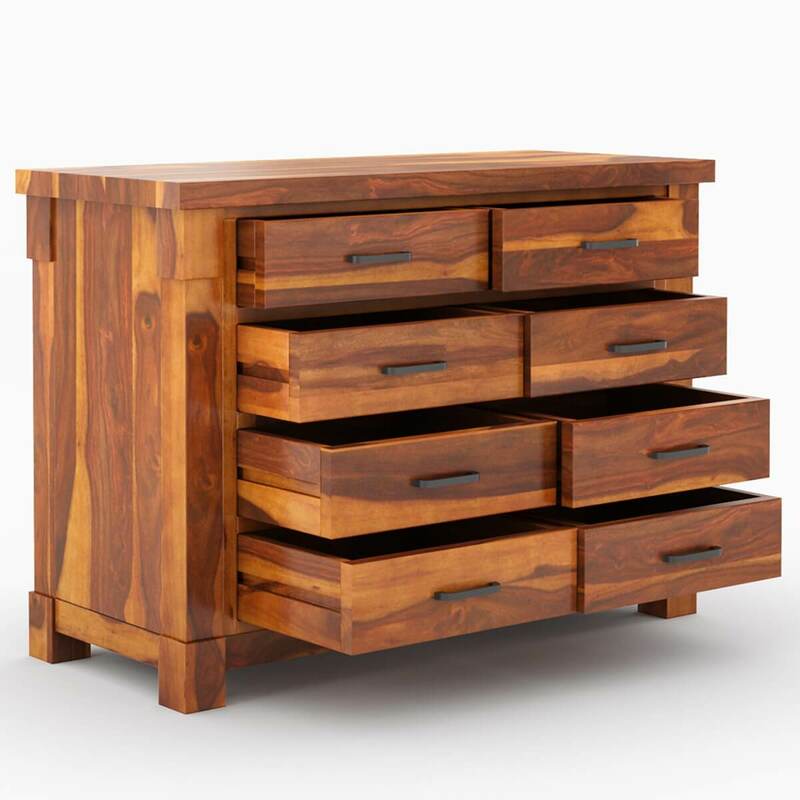 The eight-drawer dresser provides ample storage for all your wardrobe needs while presenting a uniform and balanced look. 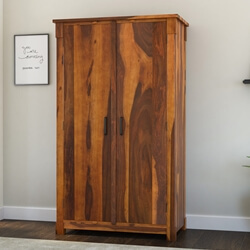 The large 72" Armoire features two-door design, which opens to reveal four shelves ideal for storing bedclothes, wardrobe items, or any other bedroom pieces like pillows and throw cushions. 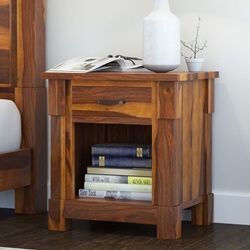 Beneath the four shelves, two drawers open to reveal additional storage to further expand your options. 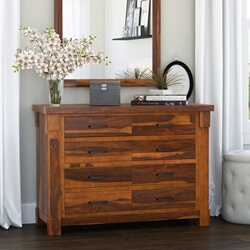 The collection includes a mirror frame with the clean construction and steady angles. 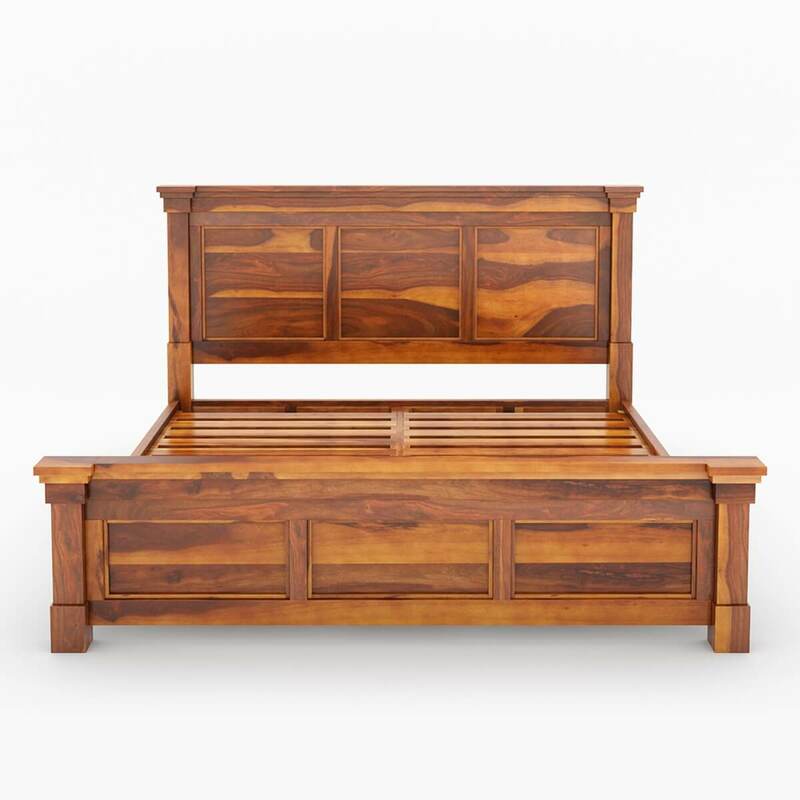 Nestle this stylish Solid Wood storage trunk at among your bedroom décor to add instant warmth and elegance.